14th floor: 4,462 sq. ft.
15th floor: 8,025 sq. ft. 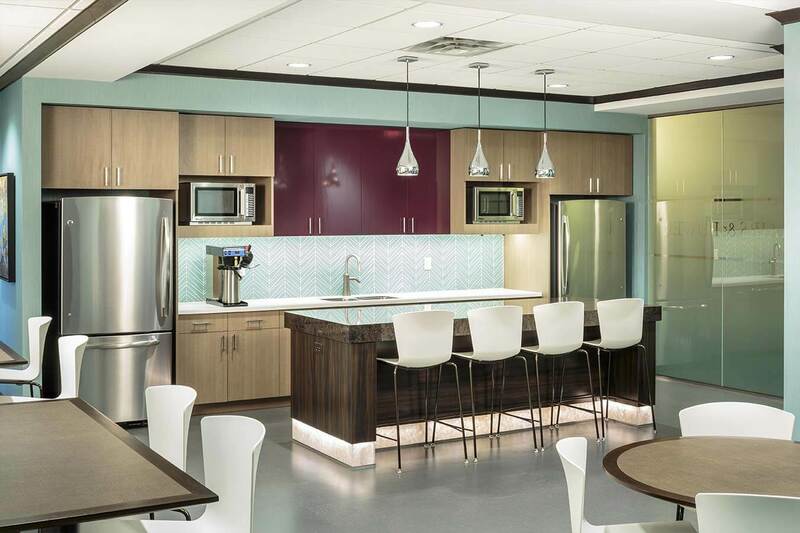 The design solution we created offers a transitional approach to corporate interiors. Rich woods are balanced with deep plums and warm neutrals throughout the space for an updated, yet timeless feel. 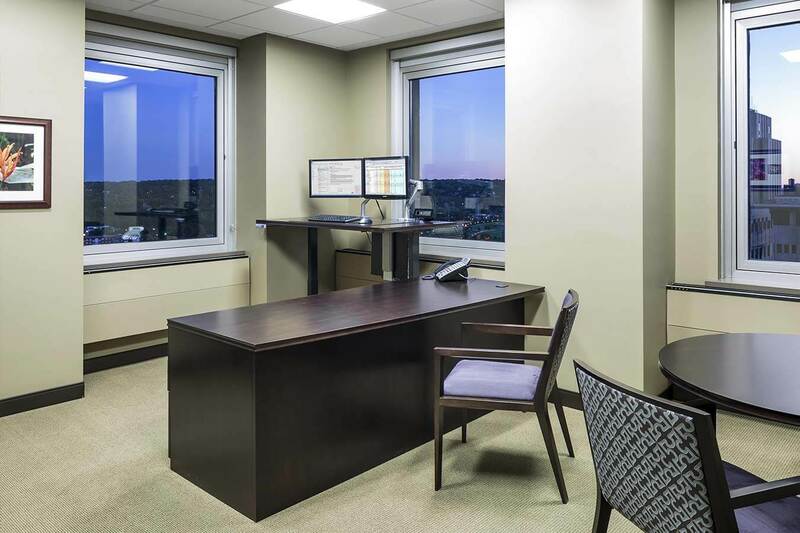 Due to the nature of their business, Mairs and Power required the majority of the space be private office with some open office, both of which have executive style, adjustable height work surfaces. We introduced glass with a decorative film into the private office walls to allow daylight to flow throughout the office space. 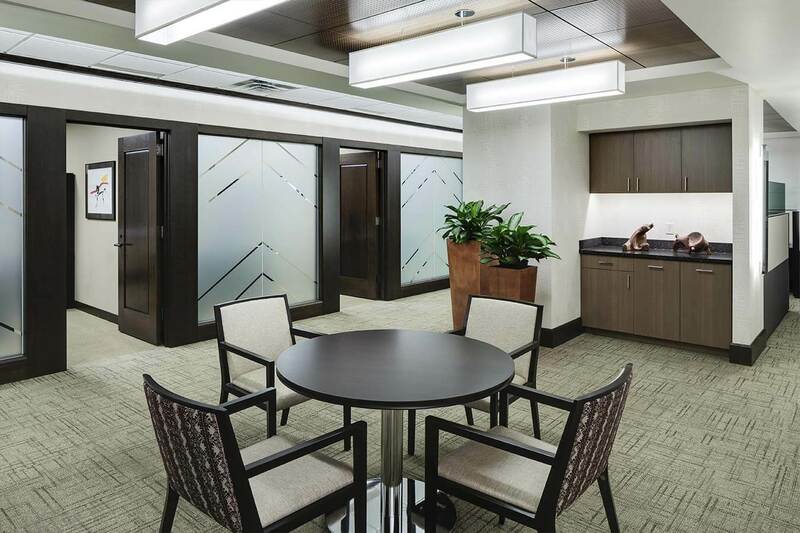 The chevron pattern in the glass is unexpectedly found in other areas within the office. 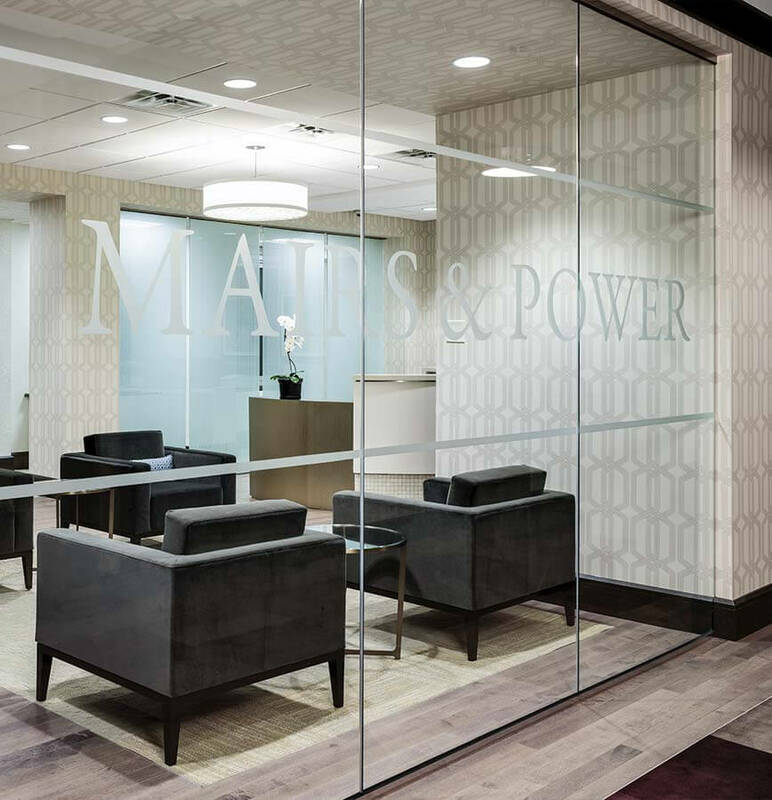 Prior to renovation, stepping off the elevator, clients had to search for the entry to Mairs and Power. 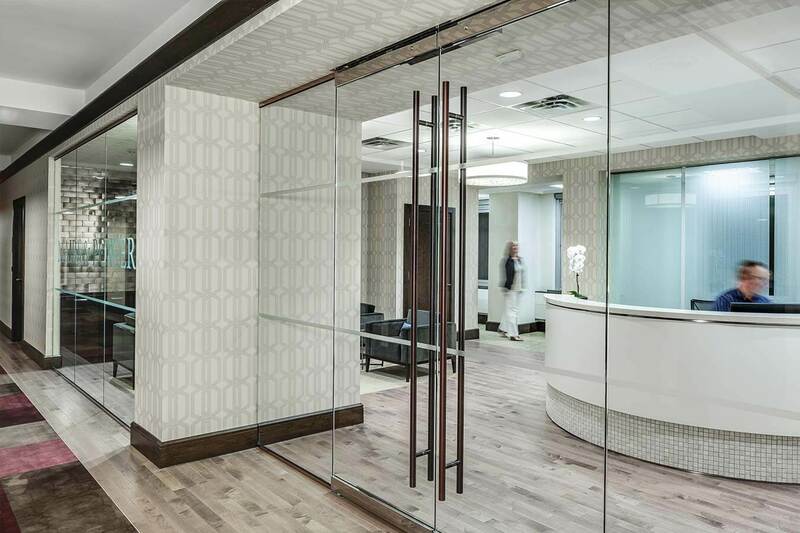 The renovation created an opportunity to develop a prominent entry with an etched glass opening that offers privacy to the receptionist, while being spacious and inviting. 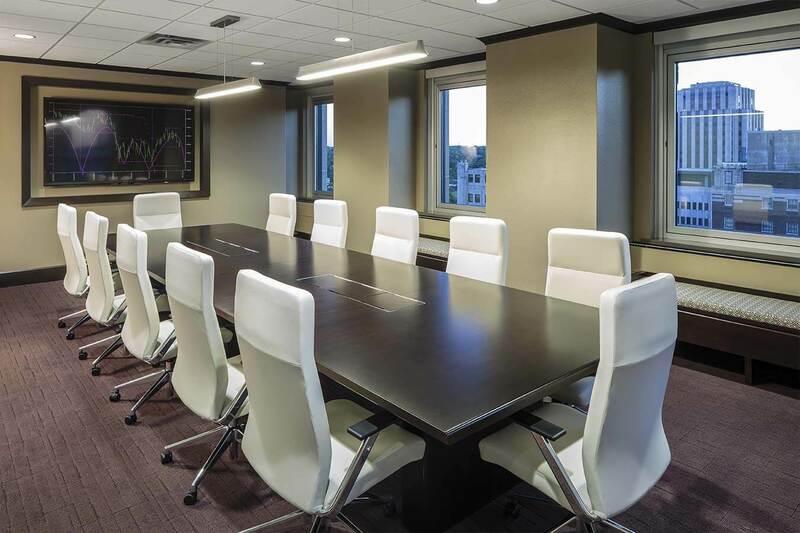 The renovated space communicates the stellar reputation and rich history of the firm.